Amazon PPC works in complex ways and its often quite a task to optimize it! SellerApp PPC analyzer automates the constant process of optimizing your ad campaigns - flagging negative keywords, mining for the converting ones and optimizing the targeting to increase conversions at the same time decrease spends and ACoS. We're constantly refining our product. Adding new features. Working to help your business grow. Each customer is guided by one of our resident customer champions on a personalized 1:1 tour to show how SellerApp can help you optimize your Amazon pages, grow your revenue and in turn increase profits. We take every measure to ensure you get true business value from the SellerApp platform. 1:1 consultation with our Experts for best practice suggestion and proven strategies, to you set up an action plan and sprint your way to success. 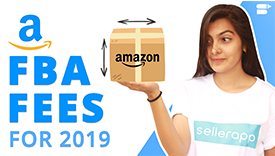 SellerApp Chrome Extension is your pair of intelligent eyes gathering every bit of sales information for every product as you browse through Amazon pages. Find your next best selling product faster and easier than ever! We’ve put together the best training material and resources to your help you broaden your knowledge on e-selling - optimize your spends, grow your sales, convert more customers and optimize your revenue. All free of cost! SellerApp is an entirely all encompassed solution. We've been savvy in terms of the intelligence and analytics we could get from our Amazon sales data, and SellerApp helped us do just that. On a day to day basis, our Ad management team has been getting a lot of value from the Advanced Insights. Looking ahead, we are excited about the additional functionality to be made available in the SellerApp4.6. Beyond that, they are the most helpful partners we've worked with. Running an Amazon business without SellerApp is like pushing a cart without wheels. It's pretty tough and yields little results... The core benefit of SellerApp lies in its pairing of an extremely user-friendly interface with smart Amazon data. What took me over 4-5 hours to figure has been done within seconds using SellerApp. With the help of SellerApp Amazon automated data factors, I could successfully optimize 4 listings with the same time I took to optimize 1! Is there a free trial on SellerApp? What countries does SellerApp support? How much does SellerApp cost? Do you offer managed services for my Amazon store? How does SellerApp protect my data?